i know some workers use tarot, pendulum, dice, playing cards, and naturally gifted physic readings ect for divination. but how many pro use oujia or the mystic eye board for client work? I think you are trying to take a survey here and I doubt you are going to get many responses. Different professionals do different things. The professional workers that I know that do use Ouija boards do so primarily to contact spirits, not for divination for a client or case. 1) Is there a divination tool or any other technique/books at LM which can help one to determine if he/she is filled with positive/negative energy at any point in time? If you have a divination method that you favor, you can of course use it to help you determine how you are doing spiritually. Some readers find it challenging to read for themselves, though, and there's nothing wrong with getting someone to do that kind of divination for you. That being said, learning the pendulum is very easy and you can make all sorts of charts that can help you measure different things - including your general energy levels or spiritual wellbeing. If you're not seeing movement in your work, have a professional read for you on the matter &/or do some good deep cleansing and Road Opening work to help you get clear. Then try again. Yes, there are works that can be done to help enhance your natural spiritual abilities - they utilize products like Psychic Vision and Master Key. Those kind of works often get catagorized as "personal power" work, so you can see what AIRR workers do that kind of thing and contact them for aid. Hi, does anyone ever use a Ouija board to connect to spirits, or for answers if so is it dangerous? I have actually used the Ouija board on several occasions. I find I prefer using it alone...the friends I have used it with have a tendency to yank that little planchette to the answer they want lol. I personally was not afraid, but that is likely due to ignorance rather than bravado. I have always been able to get answers from it....that were proven to be accurate. Now whether that information came from a spirit or were my own psychic inclinations and intuitions coming through...I do not know. Depending on what path, if any, you follow, and the belief system associated with that, would determine whether or not if you feel it is dangerous to use the board. I know people who insist it's "from the devil" and would never go near one, and I know others who use it as if it is just a game, and don't take it very seriously. 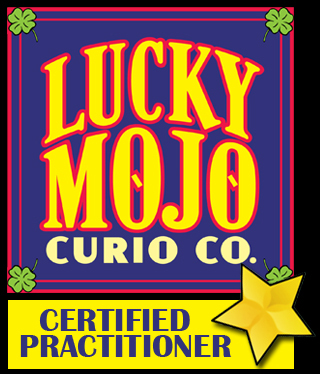 The Lucky Mojo site on the Ouija board does say that if you are new to mediumship work, you should be with a trusted friend...in order to prevent any lasting effects on your psyche. (They sell the Ouija Board as well). If you do not know, or are not protected-- do not invite in. NO. See Trish76's advice above last sentence. I will be happy to provide you with links where this is not for newbes. Miss Tammie Lee wrote: If you do not know, or are not protected-- do not invite in. NO. So would doing some protective spells be wise if your using one, I'm not thinking of using one, but just want some general info on it. Talk to Miss Cat about this. Please. This is a door that you can open, and you may not understand, like or be ready to understand; there are entities that you can invite in-- and it can be dangerous. Book a ten minute reading with Miss Cat and please don't work with the board until you do. Miss Tammie Lee wrote: Talk to Miss Cat about this. Please. This is a door that you can open, and you may not understand, like or be ready to understand; there are entities that you can invite in-- and it can be dangerous. Book a ten minute reading with Miss Cat and please don't work with the board until you do. I've had a OUIJA board since I'm 14 and I never knew you should cleanse before and after using it. I was wondering how accurate it is, I have asked the same questions about some people and it always gives me the same answer. Thank you, thank you, thank you. Most people will tell you that it is not dangerous but there are elements that needs to be considered. I read once that an individual invited a psychic vampire and latched onto her (an unwilling contract) causing ill health. Whether this is true or not, I am aware it is a medium that open doorways to the spiritual realm that can be dangerous. Ouija is a door, and it is up to the practitioner to learn who to let in, so to speak. These Association of Independent Readers and Rootworkers site may be of help in understanding Spirit Guide contacts. 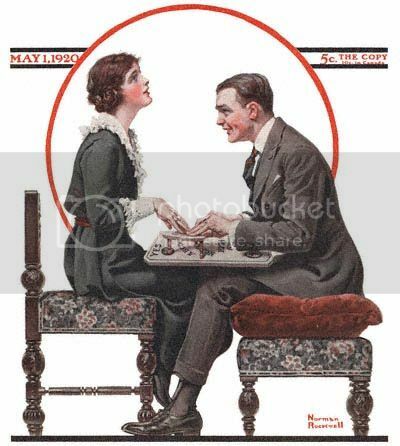 My great-grandmother used a Ouija board alone and she was a Christian and from what I understand a pleasant nice lady. I think she had what protection she needed. I've used one with my mom and my ex-husband and although we seemed to get answers, they weren't exactly informative or malevalent-seeming. I'm a pisces - it seems like really doors are everywhere. Automatic writing, some types of meditation, dreams, graveyards, the internet, just the random doors you find in daily life between the physical world and what I think of as the spirit world. Then again, I'm kinda half-cray. I've seen the ghost of my cat twice and seen Jesus briefly in my rear-view. So maybe the Ouija had something to do with that. Then again, maybe it was all those times at slumber parties turning around in circles in a dark closet with a mirror, saying "Bloody Mary, Bloody Mary, Bloody Mary." That couldn't have exactly invited the fluffy happy spirits to hang out. Well I've been cleansing my hands lately before and after using the Ouija Board. I just ask questions about how people really feel about me who I know. I had a cute little ouija board keychain years ago. Too bad I lost it. It was a great conversation piece. I get surprised how many people fear ouija boards; I have my wonderful glow-in-the-dark ouija board because someone else (a teenager) won it in a "white elephant" christmas party and his dad said he would absolutely not be allowed to take it into their house! For me it's just the same as any other tool, for example any precautions you use for skrying your crystal ball should be used with you ouija, or anything you would do before automatic writing; but it's weird because nowhere near as many people seem to be so worried about either of those tools. At this point, I'm set. I abbreviate the above for shorter work of course. I collect talking boards. The only Parker Brothers one I'm missing is the 1972 edition. I've got the 1966 one that has William Fuld's name on the box, though the box has heavy damage. The contents are fine, though. I have the 1992 PB edition and both glow-in-the-dark editions. There are differences in the planchettes, though not the board and the box--and I'm wondering what genius thought it'd be a good idea to put hard plastic caps on the planchette's feet instead of felt pads in the latest edition. It's a shame, too, as I like that planchette's design better. Oh well. I also have the bright pink one they made in a limited edition. I don't like that one as it is quite thin and cheap feeling. It feels like it'll snap in half if I lean on it wrong. *sigh* It stays in the closet in the original box. I also found the Emily one (not PB) and it's really cute, though small and pretty much useless as a talking board. I'm always looking to add to my collection. 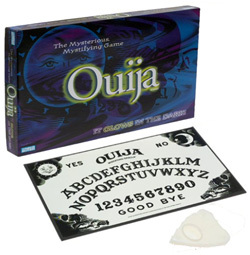 Anyway, the Ouija is a tool, not a toy, though it's sold as the latter. I always banish before and after, as well as ask that any information I get is truthful and useful for the highest good. Incense and candles help, though I won't be burning many candles here until October. 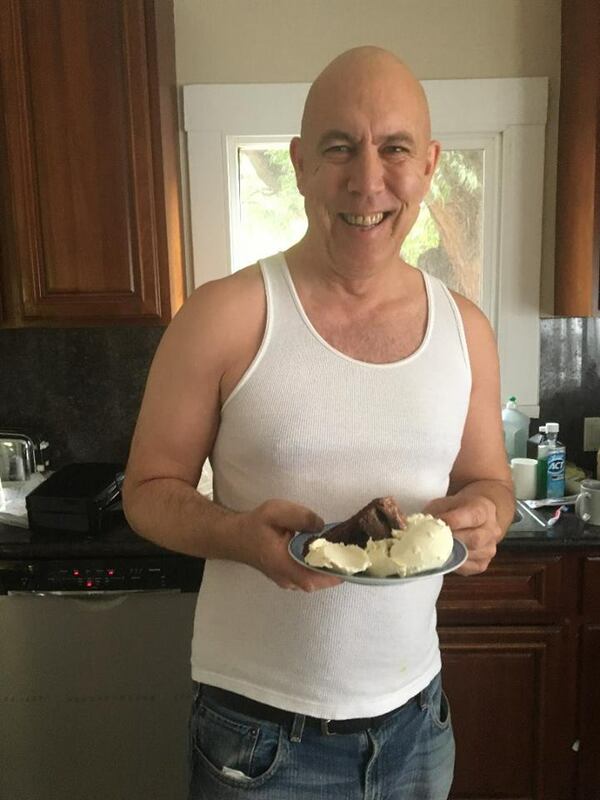 It's supposed to be 104F today. I keep my house around 80-82F and I don't want the A/C working any harder than it has to. So candles are optional, but I would use whatever method you know to mark off sacred space. I use it more as a divination tool than anything else. The information I get is dicey at best. Sometimes it says things that are completely off and have no connection to reality. Sometimes it's dead-on right. I have no idea what the answers will be ahead of time. Is this because of spirits? I don't know. Is it my own subconscious playing tricks? I don't know. There's no way to tell. I write everything the Ouija says down so I can go back and check it later for accuracy. I always use the board by myself, though. I get better results that way. Groups tend to have a dominant personality, often not who you think it is, that will often subconsciously control the Ouija session. Great for thrills, but not real results. Above all, what you'll get out of the Ouija is what you bring to it. That's not saying there are bad entities out there--there are, but most of the bad stories are just that--stories. I hear things like 'the Ouija made me haunted,' or 'the Ouija brought a poltergeist in,' and I'm far more likely to tell them to put it away and go see a shrink to find out why they're crying out for attention like that. I have plenty that goes bump in the night around here--it's called three cats. They don't have anything to do with Ouija, except to hang out and watch while I use it, as well as occasionally pat at the planchette with their paws. Sometimes they'll sit in the middle of the board if they don't feel I paid proper attention to them. This gets them kicked out of the working area. *shrug* If you take it seriously, don't treat it or the forces you deal with as toys, and are honest with yourself, I think it will serve you well. This holds true for any form of divination, not just Ouija. What LM products (baths,oils, powders ect.) would be good for protection when doing spirit board divination? Thanks in advance. I would try Protection products and Spirit Guide products to welcome in friendly/helpful Spirits. You could dress the board and planchette with powder or oil depending what it's made of. Your hands, of course, can be dressed as well. I don't trust Ouija boards unless I've done a summoning rite to question a specific spirit. There are simply too many "astral nasties"who will deceive you and pretend to be your dead relative, an angel, demon, or what have you. Ouija boards are also great if you've yet to again physical manifestation in evocation. The spirit can communicate through the board. Nah, personally I wouldn't mess with Ouija board. I just feel it's more to it than people think there is. I agree with previous posters about dangers of opening 'portal', for unknown entities that can claim to be your relatives or friends and gain your trust... if session is not closed properly then whatever is summoned might stay in this dimension and cause many problems to the person involved. I would just say it's dangerous especially for newbies. I wanted to get one but something just kept telling me to leave it alone, which I did. and I value the intimacy of the technique (within reason and with caution, of course). I'd love to hear thoughts or experiences from those of you who use a spirit board. Oh! that looks fascinating! I love the pendulum (I wear one often) but I have never used it for divination. I will have to check this board out! Thanks for the information! Just wondering how you got on with it? I always quite liked Ouija Boards. But I never had the experience, Charls, of a glass smashing on its own! Yikes! Sounds like you're a natural conduit to the spirit world. or I will take a 13 herb bath after. I have read many places that a vision board alone is a spell but is there something to help boost the work of a vision board? I'm looking at getting into Ouija Boards. I have played with them in the past and have had some very terrifying experiences with them. The only reason why I'm considering using them again is because I need guidance to help 5 family members who will be…lets just say they need my help. Is there a way to, lets say program (pro-lack of a better term) a Ouija Board to only allow good spirits to come though? Would saying a prayer before playing with one help, and if so, which prayer?